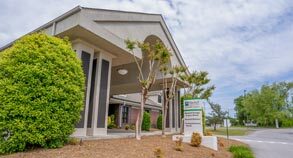 Getting fit and staying that way is easier with excellent facilities. 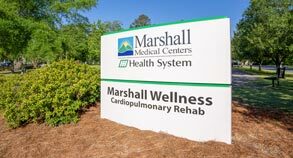 With TherapyPlus Facilities located at both Marshall North and South, you're never far from the latest equipment and flexible programs to fit your needs. Plus, we offer the only indoor swimming facilities in the county, with Olympic-sized pools available for aquatic workouts. Our professional staff is available to help you develop a fitness plan tailored to your specific needs. We also offer periodic health fairs and various health screenings at both locations. Mon-Thurs - 4:00 a.m. - 9:00 p.m.
Friday - 4:00 a.m. - 7:00 p.m.
Saturday - 8:00 a.m. - 4:00 p.m.
Mon-Thurs - 5:00 a.m. - 10:00 p.m.
Friday - 5:00 a.m. - 7:00 p.m. If you are between the ages of 12 and 15, come join the fitness fun at TherapyPlus North and South! Whether you need to shape up, get fit or just maintain a healthy exercise program, our fitness experts will design a personalized exercise program just for you. Monday-Wednesday-Friday — 3:00 p.m. to 5:30 p.m.
Tuesday and Thursday — 3:30 p.m. to 5:30 p.m.